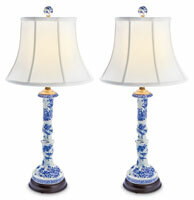 Blue and white porcelain was first imported from China in the 17th century. Handcrafted using traditional methods, our scalloped jar lamp with wood base have hand-painted birds and vines. 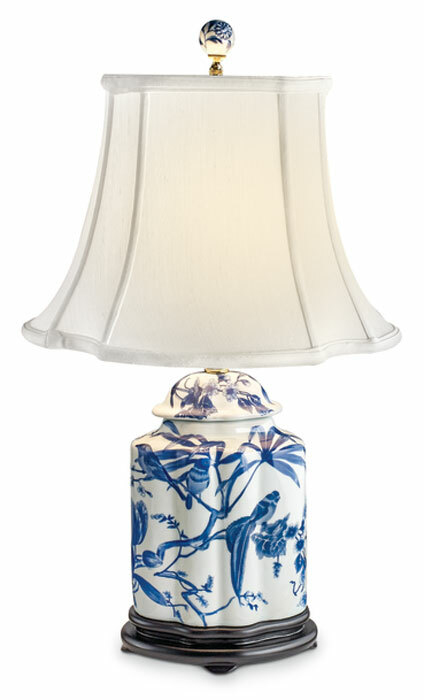 A matching finial tops the white rayon shade (8”W x 5.75”D x 24.5”H). The lamp uses a 100W max type A bulb with the switch on its neck.